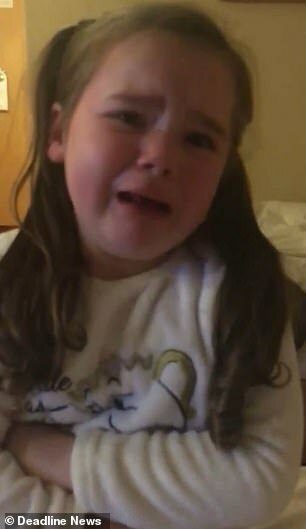 A video of a little girl sobbing after being told she has to spend her third Christmas in a hostel has highlighted the plight of the many young victims of Ireland's housing crisis. 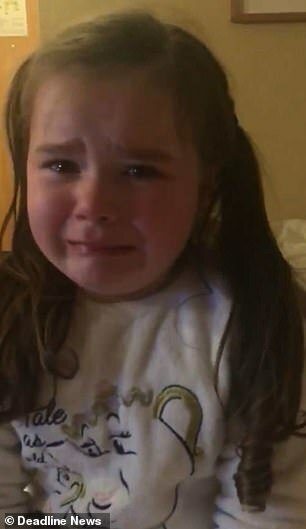 The footage shows Poppy, four, sitting on a bed in a hostel in Dublin, Ireland, crying over not having 'anywhere to stay' this Christmas. 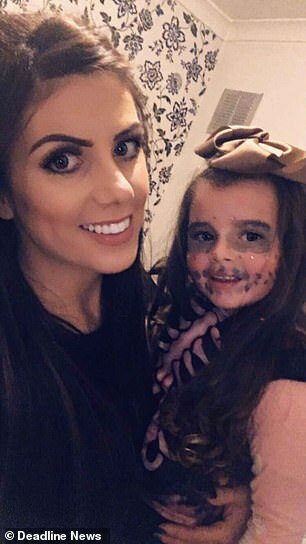 Poppy and her mother Leanne Dunleavy, 30, have been in and out of homeless shelters for the past two years. Ms Dunleavy, a hair stylist, says they became homeless due to unforeseen circumstances and that she does not expect her situation to change anytime soon. Her video has racked up more than 167,000 views on Facebook, with many people blaming the Irish Government for Ms Dunleavy's situation. The short clip shows Poppy distraught with red puffy cheeks and tears streaming down her face. 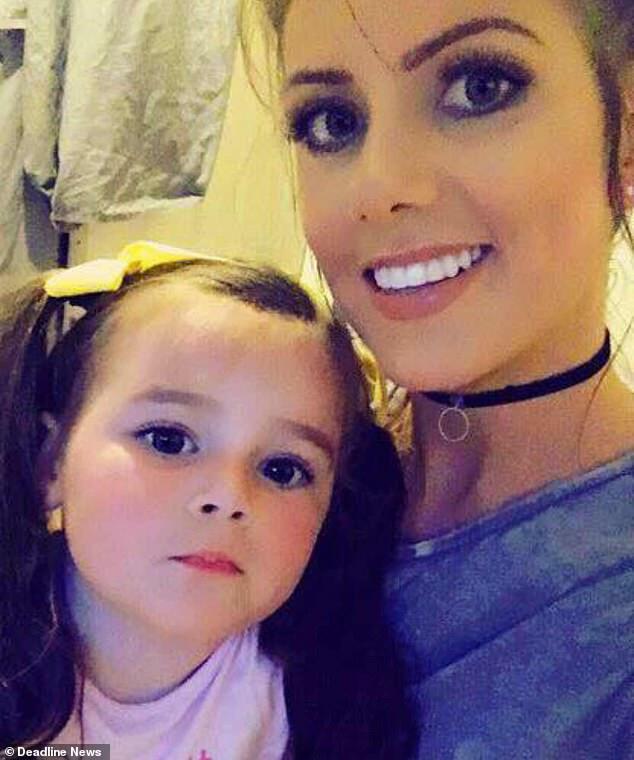 Tragic: Ms Dunleavy, a hair stylist, says her and Poppy became homeless due to unforeseen circumstances and that she does not expect her situation to change anytime soon. Ms Dunleavy then replies by asking how does that make you feel, to which little Poppy replies with 'sad'. However, Poppy is still in bits, and cries out that she misses her old dog 'Milly'. Ms Dunleavy, again tries to reassure her child by saying; 'When we get a new house we'll get a new dog'. Speaking today, Ms Dunleavy said no child should have to suffer homelessness, as Poppy prepares for her third homeless Christmas. 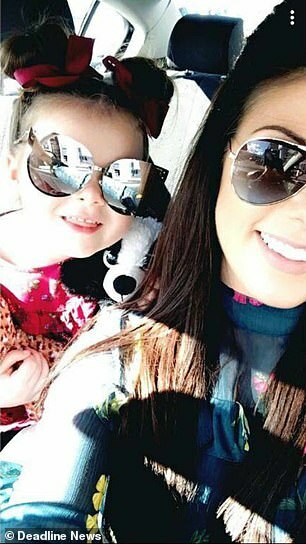 She said: 'I just wanted to show the government how it's not only the parents that suffer because we get on with it. 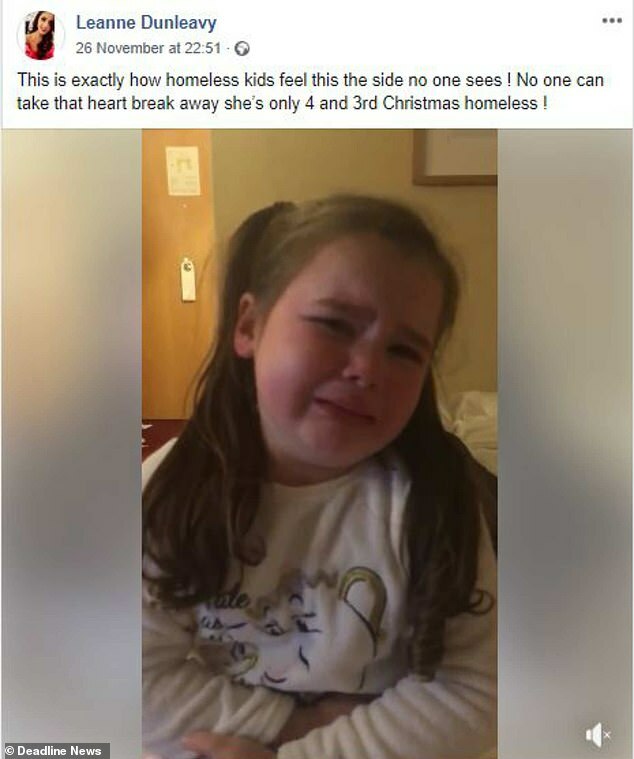 'It's tearing the children apart, no child should be spending Christmas for the third time in homeless accommodation and by the looks of things it will probably be a fourth Christmas next year. Where is the father in this ? Cannot one of the many Irish Associations come up with some money to give this mother and child a Christmas holiday in North America?